Hospitality and Entertainment all in one. 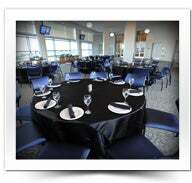 From décor to cuisine to in-suite services, Amway Center hospitality areas are second to none in quality and service. Available for rental on a per event basis, these rooms come fully furnished exclusively for private parties and special events. 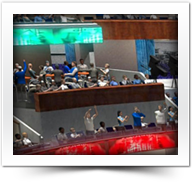 Feel the pulse of I-4 down below while you host an event in this architecturally unique part of Amway Center, available every hour of everyday year round. Surrounded by windows and downtown views, this deluxe Hospitality Room offers exquisite meeting space that is sure to impress. Please call 407.896.2442 (option 5) for more information or email [email protected]. The perfect blend of comfort and entertainment with two rows of in-bowl leather seating and a spacious lounge. Please call 407.896.2442 (option 5) for more information or e-mail [email protected]. 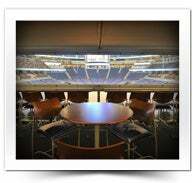 Entertain your guests in the suites closest to the action. 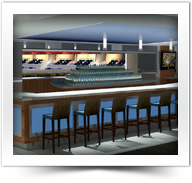 Includes 20 tickets (if booked for a Magic home game), 8-10 ledge seats, six high-top tables, option to turn two suites into one large space offering a greater capacity, access to the Club Level, including the North Club Bar and other Club Level amenities, two parking passes, additional standing-room-only tickets available for purchase. Experience the excitement of the event in this open-air suite. A private bar with Disney attributes highlights this unique, spacious area. 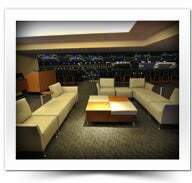 Enjoy a private setting with your guests or mingle with other Club Level patrons in the exclusive North Club Bar. 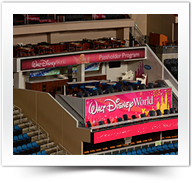 IOA Hospitality Rooms are located on the IOA Founders Level of Amway Center. 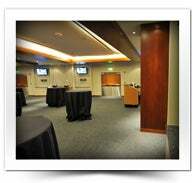 These hospitality areas offer the ultimate in service, comfort and amenities. They are perfect for a business meeting or social function. Rooms = 1, can be partitioned into 2 or 3. Magic game tickets can be included, please call 407.896.2442 (option 5) for more information or e-mail [email protected].